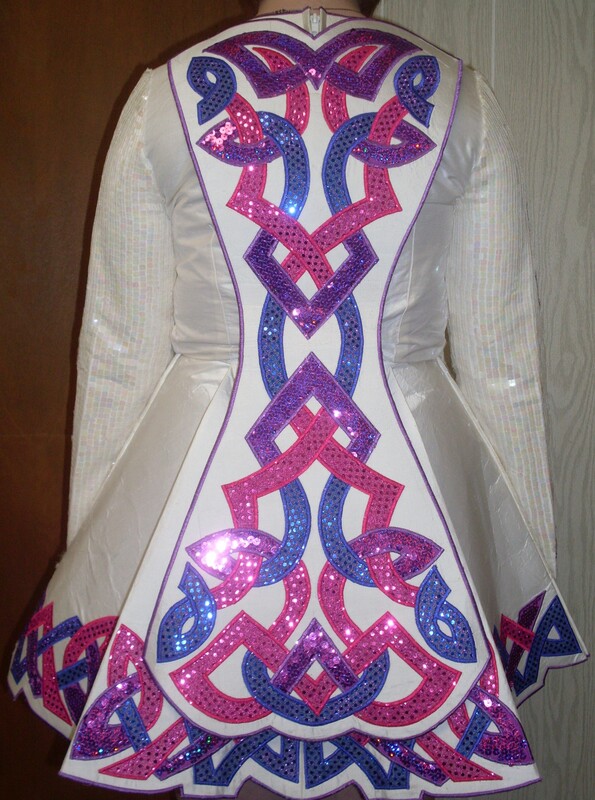 White solo dress with pink, purple, and blue sequined applique Celtic knotwork. Very sparkly. 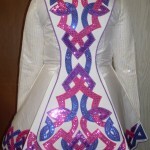 Underskirt is purple, changes to blue in different lighting; this material is also inside the pleats and on the back of the cape. Comes from a smoke-free home. No stains or odors. 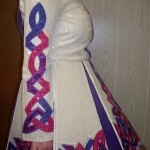 This dress has brought lots of luck and received many compliments. 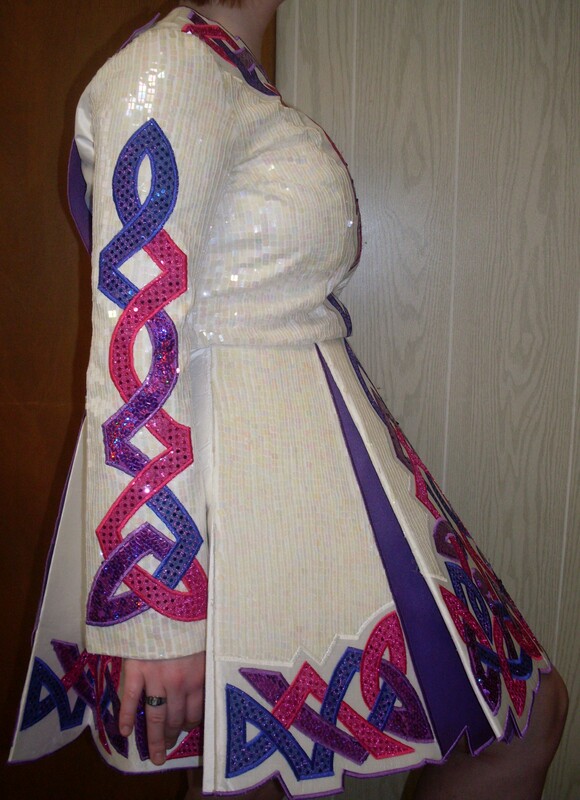 Good dress for novice or prizewinner. Dress comes with matching cape, barrel headband, and purple bloomers. 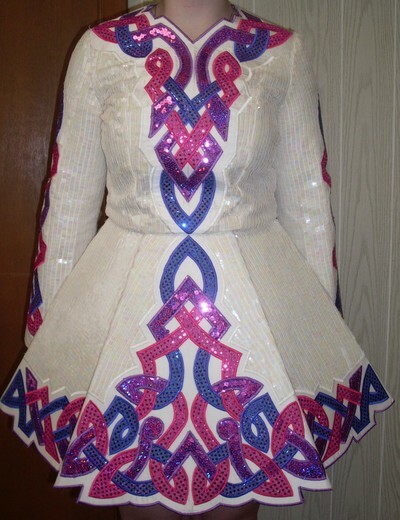 Asking Price: Price reduced to $450USD. Shipping included within continental US. Returns are negotiable.